Gone are the days when social media marketing was still a baby, and more often than not involved managing a Facebook page and maybe keeping a twitter account afloat, with a cookie-cutter approach to seeding content that ranged from posting links to articles to third party sites and announcements about new products etc. Cut to 2014, social media is recognized and accepted as a potent, innovative and an important part of any brand’s marketing mix. A nifty combination of great content, strategic spends and a pulse on the industry could be the difference between a well loved, high-recall brand and an obscure or trying-too-hard one. Big brands spend because they can, while the beauty of social media and part of the reason of its success is that it breaks away from the limits of big budgets, and allows for brands – small and big, to play level using the power of creativity, and literally and otherwise talking to an audience. What comprises of content and what comprises budget respectively. 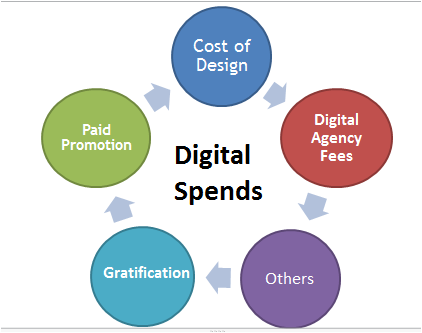 While spends could mean different things for different brands, spends on digital media typically comprise the following heads. Cost of creating good quality content in terms of videos, apps, creatives, photography etc. Ad spend on promoted posts, Facebook ads, Twitter promoted posts, YouTube ads, the work done on the pages. Gratification for the influencers and content participants. Digital Agency fees, if incumbent. Do goals of a specific business influence spend or content? The aim of a brand could be conversions as in the case of E-commerce, brand awareness in case of existing brands, or just brand building in terms of new product launches or initiatives and/or a bit of all. So, what drives what? 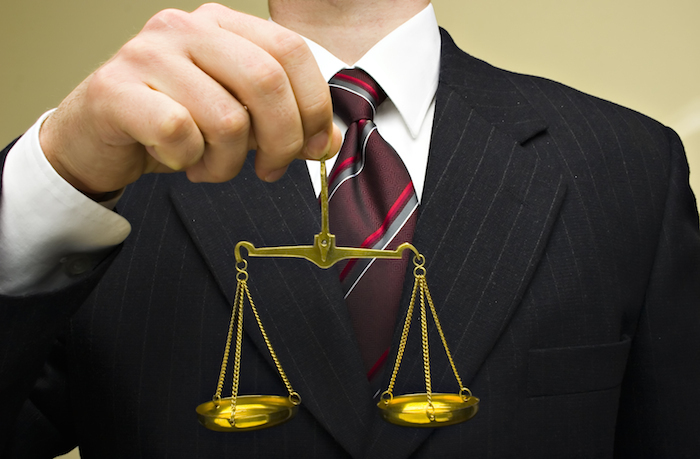 Does a high spend sell content or good content minimizes spend? In all honesty, it’s a catch 22 situation. Many digital marketers like myself would argue that good content sells itself and leads to a higher engagement. Immediately, the counter argument jumps in “Why spend hundreds of thousands and on creating solid content for no one to see?” which simply put means, higher spends would mean higher reach but low engagement. While ideas could be free, execution of good content can cost big monies too in case it depends on high quality imagery, professional photography, infographics and paid support etc. Why content needs to be supported with a some (high) budget? Ever since Facebook changed its algorithm in 2013, the organic reach of Facebook likes has dropped to single digit percentage. (On average, a brand’s content on the page is seen by 5-10% of its audience). According to Facebook the move is not financially motivated, though increased ad revenue would be a big by product, the change has been reportedly to encourage high quality content. And again on twitter, your content is limited to your already existing followers and breaking the clutter is possible almost only through organic but great content or promoted tweets. Let’s discuss different examples of brands that historically have adopted different approaches such as High Quality Content- Low Spend, High Spends-Average Content and both great content and a strategic spend. Think witty quotes that ring well with the GenY and clean graphics by Zomato (well, barring aside their Bangalore tech capital fiasco anyway), that have huge sharing potential. Allen Solly’s innovative foray into GIFs to promote the End of the Season Sale or Dove’s true beauty campaign. None of these campaigns involved huge budgets or paid promotions (at least on the face of it) but they have a high recall because you can relate with the content or you find a value in sharing these with your own social networks. Another international example is the luxury retailer brand Glamour Sales. To stand out from the crowd during Chinese New Year, Glamour Sales enlisted Fred&Farid to create a social media stunt to get tongues (and tails) wagging. By pretending to swap their community manager for a dog, the firm generated 100,000 new customers on a tiny budget. Think generic contests, posts from their regular marketing campaigns with a high paid-promotion angle. Without naming names, let’s say a majority of posts fall under this category where companies usually promote generic product updates or brand announcements through a standard creative layout and spend monies on promoting these via Facebook or Twitter’s paid options. While it’s difficult to comment on the kind of spends here, but check out your twitter trends anytime of the day and usually the top promoted trend has been seeded by a brand, paying anywhere between 50k to a lac to stay there. Most big brands today, especially in E-commerce seem to have employed high spends and high quality content policy with a more integrated approach towards social media. If you’ve not seen Oreo owning social media with clever tricks and agile marketing approach, do so right away. A shining example of how a brand can use social media with just a very astute pulse on the medium, creativity and a sense of humor. 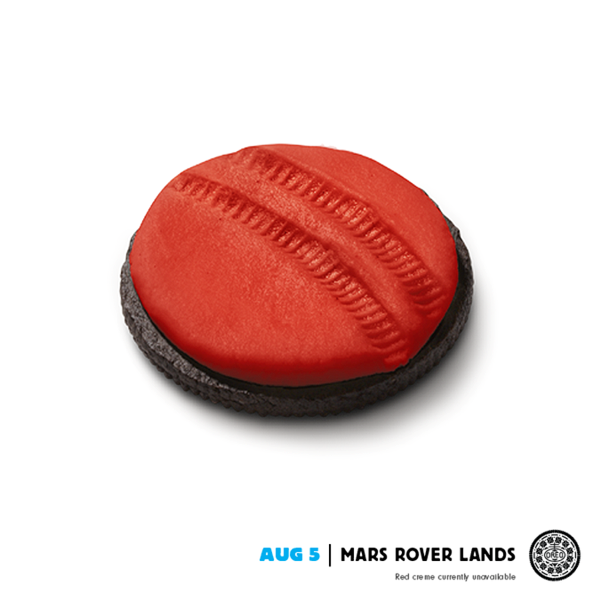 Just one example among many: To celebrate its centenary year in 2012, Oreo launched its ‘Daily Twist’ campaign, which produced 100 images over 100 days that blended the classic Oreo design with a topical news story in highly creative and hilarious ways. Oreo also seems to rule all the omnipresent marketing wave considering its activity on all media apart from Facebook & Twitter, like Vine, Pinterest and of course Instagram. Anyone hoping to raise awareness of their brand via social media should pay close attention to the commitment, consistency and creativity Oreo applies to its social communications. After all, when it comes to digital marketing, Oreo has shown itself to be one very smart cookie. 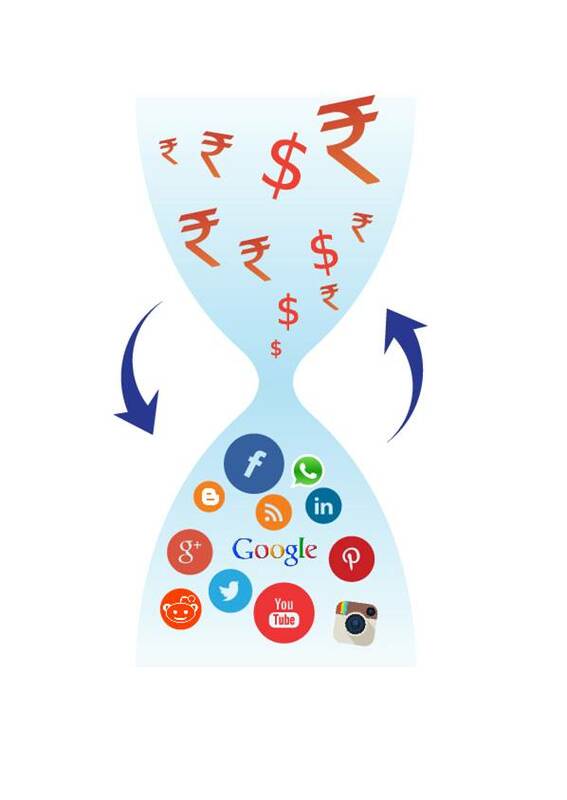 How can small and medium companies leverage the powerful social medium with almost no to small digital media budgets? While this topic merits a post of its own, let me just throw some ideas for perspective. So you don’t have a massive ad spend budget to sell your wares or create awareness, how about you create content that’s genuinely creative, funny or of value to people in some other way, that encourages them to engage with it and share proactively, without gratification. Big brands are able to promote tweets, fb posts, engage influencers and have big rewards at stake for contests. You could also do all of these, if you have worked on building a community of loyal followers, who talk about your brand because they like to. Apart from making sure your customer service is tip top, send regular updates, occasions’ greetings and customized product listings. Customer trust and loyalty is won over over a period of time. Having thousands of followers is pointless if they were bought or via other gratifications as opposed to a fan base that genuinely wants to keep updated on what you have to say. Social media is not all about one way communication or shoving a set of stylized marketing communication on an audience. It’s also about listening in. You never know when you may hit upon your brand name, product or some other part of your company. Continuously and habitually run searches on twitter, Facebook, Blogs, Youtube to look for mentions and jump in when opportunity presents itself. If budgets permit, you could even set up a social listening software like Adobe Social. What may not be conceptualized for creative, capacity or budget reasons out of a few-member team could be spread across a pool of the world at large. Let the big ideas come from your audience or create with them. An excellent example here would be Allen Solly’s ‘Shoot for Solly’ campaign where their entire Spring Summer collection by men was styled, modeled and photographed by a a bunch of influencers and handpicked photographers across 7 cities in India. When you have a useful, attractive and/or reasonably priced product, it sells itself. Social media then is just the catalyst for growth. So before you jump into the social bandwagon, ensure your product/offering is a go. A brilliant case in point would be the Brand- Chumbak. Almost no marketing done for first 2-3 years since inception, Chumbak thanks to its unique product was the darling of social media and would see organic engagement on its page and shares by dedicated fans. To conclude, there’s no “one approach” or answer to what drives digital marketing- spends or content as it’s really a combination of all that would get the best results and based on your product, goals and budgets you can decide on the same. In fact, it would be safe to say that both great content and a strategic spend share a symbiotic relationship. That said, a little creativity, a solid commitment to product, and a dedicated community of genuine brand advocates can squeeze a precious little out of your marketing budget and integrate beautifully to realize the power of this powerful and dynamic medium.